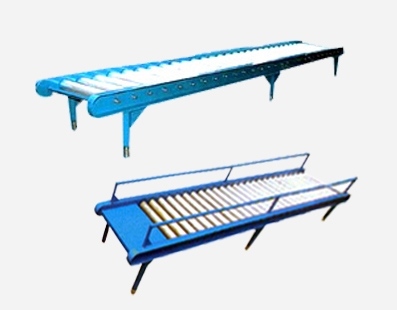 We are amongst the prestigious roller conveyor manufacturer and exporter. These precision designed roller conveyors are appreciated for their attributes of durability, strudy construction, rust resistance and simple operation. • Self tracking that allows the cartons to follow the movements of the conveyor path without using engineered curves. The height can also be adjusted simply by turning the locking knob to raise or lower the conveyor. • High performing square tubing legs, for longer service life. The 16 gauge 1.9 bearing roller is place on 12 mm axles to enhance the durability. Aluminum plate of 2” is placed for extra strength, which is assembled with nuts and bolts.